BayesDB, a Bayesian database that enables users to directly query the probable implications of data tables without training in statistics. It provides BQL, an SQL-like language for Bayesian data analysis, and MML, a minimal language for building generative population models by combining automatic model-building techniques with qualitative constraints and custom statistical code. BayesDB has been applied to problems such as cleaning and exploring a public database of Earth satellites and assessing the evidence for microbial biomarkers of Kwashiorkor, a form of severe malnutrition. Venture, an integrated platform that aims to be sufficiently expressive, efficient, and extensible for general-purpose use. It provides VentureScript, a language that gives users fine-grained control over both modeling and inference, and defines a common interface for integrating components written in other probabilistic languages. Recent applications include structure discovery from time-series via Gaussian processes and reflective AI techniques such as Bayesian optimization. 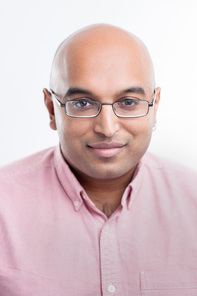 Vikash Mansinghka is a postdoctoral researcher at MIT, where he leads the Probabilistic Computing Project. Vikash holds S.B. degrees in Mathematics and in Computer Science from MIT, as well as an M.Eng. in Computer Science and a PhD in Computation. He also held graduate fellowships from the National Science Foundation and MIT's Lincoln Laboratory. His PhD dissertation on natively probabilistic computation won the MIT George M. Sprowls dissertation award in computer science, and his research on the Picture probabilistic programming language won an award at CVPR. He co-founded a venture-backed startup based on this research that was acquired by Salesforce.com and was an advisor to Google DeepMind. He served on DARPA's Information Science and Technology advisory board from 2010-2012, and currently serves on the editorial boards for the Journal of Machine Learning Research and the journal Statistics and Computation.